Deputy Consul General Ma. Theresa Dizon-De Vega and Consul Zaldy Patron pose with Ms. Niloufar Motamed, T+L Features Editor & Senior Correspondent (left photo), and Ms. Nancy Novogrod, T+L Editor-in-Chief (right photo), at the Travel + Leisure World’s Best Awards ceremony in New York City on July 18, 2013. Travel + Leisure, the top U.S.-based travel magazine, has officially awarded Palawan as Overall Top Island and Top Island in Asia for 2013. The awards were given at the awarding ceremony for Travel + Leisure World’s Best Awards held in New York City on July 18. Deputy Consul General Ma. Theresa Dizon-de Vega and Consul Zaldy Patron received the awards on behalf of the Philippine Department of Tourism. Placing second to Palawan in both the Overall Top Island and the Top Island in Asia categories was Boracay, winner of 2012 Top Island Award. 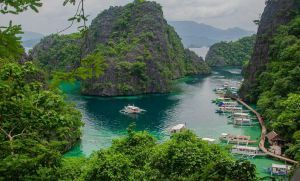 Palawan also bested the likes of Maui, Hawaii; Santorini, Greee; Prince Edward Island, Canada; Bali, Indonesia; Kauai, Hawaii; Sicily, Italy; Koh Samui, Thailand; and Galapagos, Ecuador in getting the much-coveted Top Island Award. On the other hand, Discovery Shores in Boracay was chosen as Top Hotel Spa in Asia and Top Family Hotel in Asia. 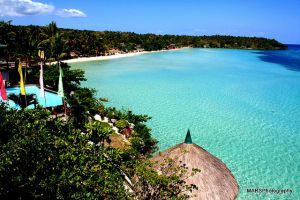 What Can You Do in Ticao Island?